Bayer Pharmaceuticals has announced in the company’s stockholder newsletter that the company has spent almost $1.6 billion in settling cases arising from Yaz complications. Bayer manufactured both Yaz and Yasmin, two “fourth-generation” birth control pills that have been demonstrated to have serious unexpected side effects that Bayer failed to warn patients about. More than 10,000 women have filed lawsuits already, and despite the $1.6 billion settlement, estimates indicate that there are 9,873 claims still pending. Bayer’s past settlements are good news for plaintiffs who wish to pursue claims against the drug company with the help of a Boston defective drug lawyer. Individuals who experienced harm as a result of Yaz or Yasmin can still come forward and take legal action against Bayer if they can prove that they were injured due to the use of these dangerous birth control products. Yaz was approved by the Food and Drug Administration in March of 2006, and by October of that same year, the drug was subsequently approved as a method of treating pre-menstrual dysphoric disorder (PMDD). In January of 2007, the FDA approved the use of Yaz to treat acne. Prior to being approved for acne and PMDD, Yaz and Yasmin were prescribed off-label for these problems. When it was approved, Yaz became the first oral contraceptive that was officially recognized as a treatment for these three different indicators. The risk of blood clots is so high with Yaz that the FDA issued a safety update in 2012 and indicated that a Black Box warning is now required. A Black Box warning is the highest of the FDA warning levels. Unfortunately, while patients are now being warned about the risk of blood clots, there are thousands of patients who took the drug before this warning was issued. In 2009 alone, for example, Bayer sold more than $800 million of Yaz. It was during 2009 that the FDA first became seriously concerned that Bayer was overstating the benefits of its product and downplaying the risks. Bayer spent $20 million in response to the FDA’s concerns over its misleading advertising, creating pamphlets and changing informational language to better reflect the risk. For thousands of patients, however, these warnings came too late. The patients have taken legal action, prompting Bayer’s $1.6 billion settlements. 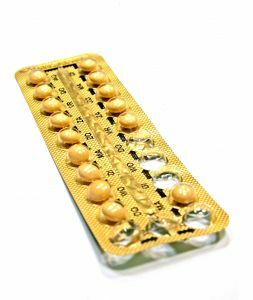 The company is likely to spend much more to resolve the thousands of claims still pending and the many claims yet to be filed by plaintiffs who suffered harm because of birth control side effects. If you suffered because of Yaz or Yasmin complications in Massachusetts, call the Law Offices of Jeffrey S. Glassman for a free and confidential appointment — 1-888-367-2900.